American Fork Homes for Sale; American Fork Utah Short Sale. Our search offers the best online, live search engine in Utah County. The search has listings of all American Fork Homes, condos, and townhomes for sale. When you subscribe to our Buyer's Club you will receive daily emails of every new listing and price change within your search criteria. You will have free unlimited access to every home listed for sale in Utah County. When you use our American Fork, Utah search you can save favorites, rank the one's you like, and make notes. If you have questions about the Homes you have seen, Team Teasdale Realty will be able to view your list with you. This makes exchanging information fast and simple. Buyers love that our search points out which Homes are Bank Foreclosures in American Fork and which ones are Short Sales in American Fork. You will be able to find the Fannie Mae and Freddie Mac Bank Foreclosures and HUD Homes on the first day they come for sale. Be the first to know when a great deal has arrived. Feel free to visit our site as often as you wish. Why Hire a Realtor in American Fork Utah? Realtors Are Real Estate Specialists. Not all real estate professionals are created equally. There are approximately 2.3 million licensed real estate professionals, but only members of the National Association of Realtors can call themselves Realtors. This association of about 750,000 brokers and agents provides a Code of Ethics to standardize professional behavior, and it offers advanced educational opportunities to its members, enabling them to offer accredited sub-specialties. Paul Teasdale of Team Teasdale Realty is the Principal Broker of Team Teasdale Realty and has been selling homes in American Fork for 20 years. Paul has received the following accredidted designations: buyer's representation (ABR,) residential real estate expertise (CRS,) or Internet readiness (e-PRO). Paul graduated from BYU with a degree in Business Management. Good experienced Realtors Lower Your Risk. When you have a American Fork Realtor as an advocate, you share some of the risk of home buying with your agent. Otherwise, it's buyer beware. Team Teasale Realty and their agents will make recommendations that will assure that you are buying a home that is safe, environmentally sound and priced fairly according to the current marketplace. Our Realtors are keen in helping you find the best deal on a home in American Fork. Realtors Work For You At Their Own Risk. Can you name another profession that will go to work for you on a contingency basis? Or without a contract? Team Teasdale Realty will show you homes in anticipation that you will be loyal to buying with them if you choose to buy a home in American Fork. Even attorneys charge by the hour except for some high-risk law suits. You don't typically pay for any services up front with an agent and that is because agents are paid on the back end by the lender's proceeds. Tell us about your dream home in American Fork, Utah. Hire a American Fork, Utah Realtor. 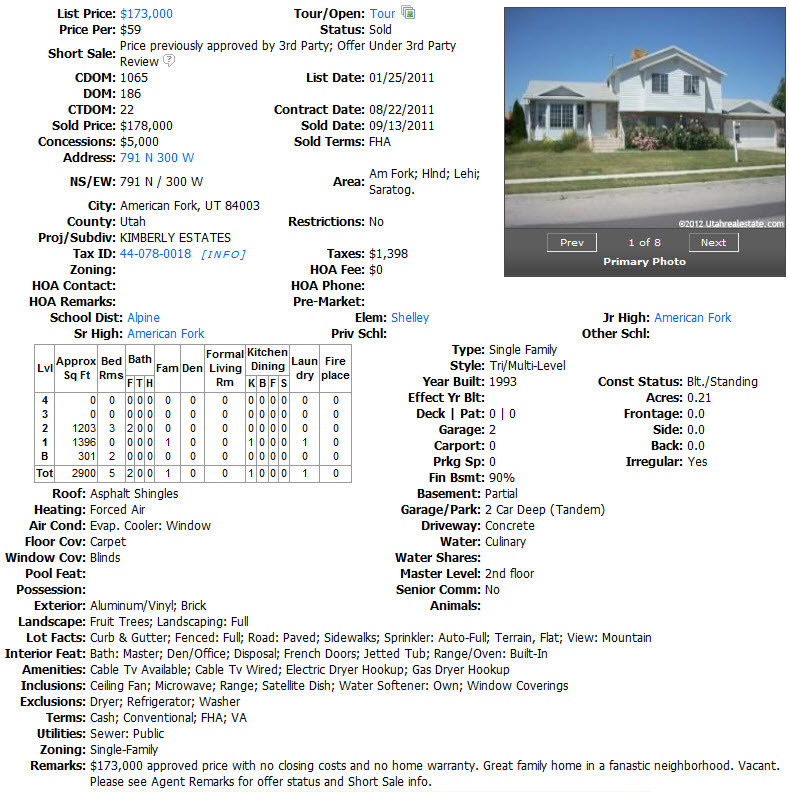 American Fork Utah Home is worth?